10,000 subs for third channel! 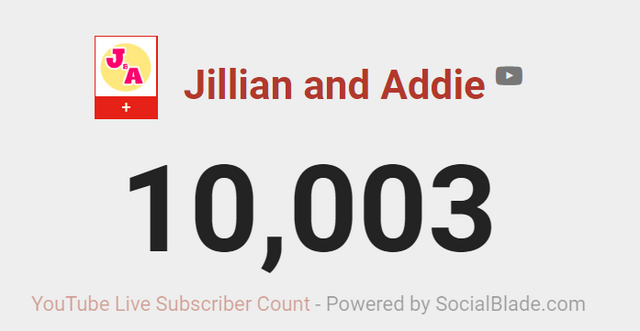 Our third channel, a vlogging channel called "Jillian and Addie", launched in April 2018, has just passed 10,000 subscribers! Special thanks to YTtalk members for their continued support! Third channel with that much... Impressive!